Journal of Diabetes Case Reports is a peer reviewed medical journal that includes a wide range of fields in its discipline to create a platform for the authors to make their contribution towards the journal and the editorial office promises peer review for the submitted manuscripts to ensure quality. Journal of Diabetes Case Reports is one of the best open access journals that aims to publish the most complete and reliable source of information on discoveries and current developments in the mode of original articles, review articles, case reports, short communications, etc. in the field and provide free access through online without any restrictions or any other subscriptions to researchers worldwide. Journal of Diabetes Case Reports is a peer reviewed scientific journal known for rapid dissemination of high-quality research. 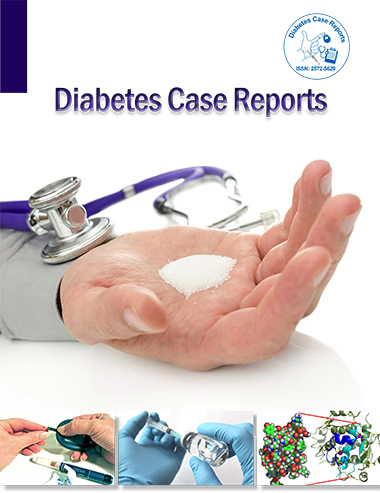 This Diabetes Case Reports Journal with high impact factor offers an open access platform to the authors in academia and industry to publish their novel research. It serves the International Scientific Community with its standard research publications. This scholarly publishing is using Editorial Manager System for quality in review process. Editorial Manager is an online manuscript submission, review and tracking system. Review processing is performed by the editorial board members of Journal of Diabetes Case Reports or outside experts; at least two independent reviewer’s approval followed by the editor is required for the acceptance of any citable manuscript. Authors may submit manuscripts and track their progress through the system.